When disaster strikes, you and your family need to be prepared to evacuate at a moments notice. Fires, hurricanes, and floods are becoming much more common place these days. Emergency officials do their best to keep the public informed to protect lives. It is our duty to be as prepared as possible if an evacuation order is given. The best way is to create a list of things to bring with you during an evacuation, and plan ahead! A popular term in the world of disaster preparedness is Bugging Out. It’s probably one of the most written about topics in the whole of survival and preparedness literature. There are even whole books dedicated to the process, and for good reason. The bugout is designed for an SHTF preparedness scenario and its self governed. In other words, no one is going to tell you its time to bugout. It will be your call. In an evacuation you will be told when it’s time to leave and you will be given a time window to get out of harms way. Another big difference is in the planning. Bugout planning should involve a planned bugout location or locations. When running from a collapse of civility you will need to think out a few good places to hold up, away from the chaos. These are often called bugout locations. 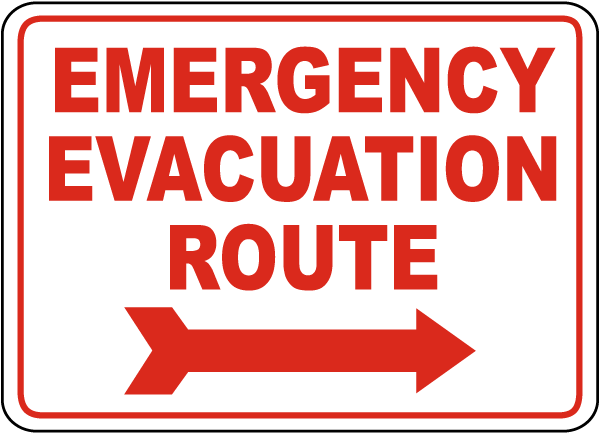 When you are faced with an evacuation you will either be ushered to another location, which is no picnic, or you can just drive off to a relative’s house who lives in another state. Bottomline, they are very different things. You need to understand both. In the case of an evacuation, what items are you looking to take with you to be sure you are prepared while your away and when you return home. One of the most overlooked items to take in an evacuation are your important documents like IDs, passports, insurance, deeds and the like. If you own it or if you need to prove it, you better have a copy of it. The best way to deal with this is to create a simple document folder that is close by and contains everything. Upon evacuation you just slip this folder into your backpack and you are covered. We covered this topic here with helpful tips on creating an emergency binder with important documents. No matter where you are going you should always have a way to deal with the triangle of survival and that is water, fire and shelter. This doesn’t have to be luxury but your bag should have a few methods for making fire, some sort of simple shelter option for those in your party and a way to sanitize drinking water. You never know what could happen next in a disaster. Sometimes evacuation means being loaded into a facility with different types of threats and dangers. While the people in the Superdome, during Katrina, were relatively safe from the storm they had to deal with robbery, violence and other unfortunate circumstances. Unfortunately, the minds of criminals never stop running. Even during the most recent wildfires in southern California looters were running into evacuated homes, with the fire bearing down on them, to take the goods inside. Whether you are put up in a hotel or a school gym, just be prepared to let those around you know you are not helpless. Its important that you be prepared to defend what is yours – by whatever means you find most appropriate. Having a few types of ready to eat foods on hand can be a great way to boost morale as you are leaving your home and belongings behind. You may find yourself in traffic getting out of town or on a long trek and having food around always helps with that. With kids this can be especially important as they often won’t understand the gravity of the situation when their tummy is rumbling. We all have things near and dear to our heart. They might be pictures, art, toys, or something else. Sentimental items are just as important as anything else. These are our memories and our bits of captured happiness. While it might not seem like it when you leave, this could be your last opportunity to secure your most sentimental items. The best way to handle these is to identify them today. What do you have to take? What means the most to you? Don’t guess when you are on the clock. Isolate these items in your mind so you can grab them quickly when the time comes. Also make sure you can travel with them – a wall sized painting may not make the cut. Bring something to do while you are evacuated. This can be everything from simple books and games to power banks and video games. Evacuation is stressful and if you have kids keeping them occupied will shave off a whole layer of stress. Don’t discount that. As sad as it is, evacuation can be the rare time when the whole family gets to sit down and focus on just playing a board game. Just be sure to consider games and books that are smaller in size. Large books can be back breaking – just ask your average school kid these days! Cash is King in a collapse. You should always keep cash on hand when you leave the comforts of home for a long trip or evacuation. This cash doesn’t come from the air like magic, though. Its all about starting an emergency cash fund. Putting away a little cash each week will amount to something you can look to when things like evacuation come up. This could be $500 or $5,000 dollars. Either way, the cash will get you things you need when ATM’s are down and people are holding tight to resources. Be sure to have ways to carry cash on your person (not in a bag), and if you have large amounts, have multiple ways to carry. Just in case you are robbed, you can reduce your risk of losing everything. Here is a recent post to help you understand your survival cash needs. Now that you understand what you should bring you need to understand the mechanism for getting everything right during an evacuation. It all comes down to checklists. You want to have checklists for each person to assure they get the things they need. A simple list can be folded up and placed in a pocket of the backpack or you can even laminate that list and attach to the bag. While many things can be pre-packed for an evacuation you are going to need a small checklist to assure you grab everything, quickly, leaving the home. Hopefully, you return home and things are fine. In most cases you are going to have to address some sort of damage. In the worst case you are going to have nothing to come home to. While you are evacuated its very important to discuss the various outcomes. Brace yourself. No one is ever prepared to return home and find your life’s work decimated. Be sure you have your affairs in order with insurance and be prepared for serious inconvenience. That is what is coming if you lose your home in a disaster. Evacuation is a pain but remember, it can always be worse. We are ushering in a new age of population growth and radical natural disaster as well as possible incivility. In the future, there will be many more hurricanes, more wildfires and floods. For Preppers, now is the time to start taking evacuation seriously and get your affairs in order! Planning and preparation can make this process smooth and hopefully save your family from potential disaster.